billon reported (viewtopic.php?p=92124#p92124) that, as of v1.20, Wget no longer supports XP. billon reported (viewtopic.php?p=92374#p92374) that, as of v1.4.1000, Passmark ImageUSB no longer supports XP. I[t']s a project to transform Windows XP/2003 in a moderns systems, with beautiful interface, compatible and very fast, based in One-Core-API technology. 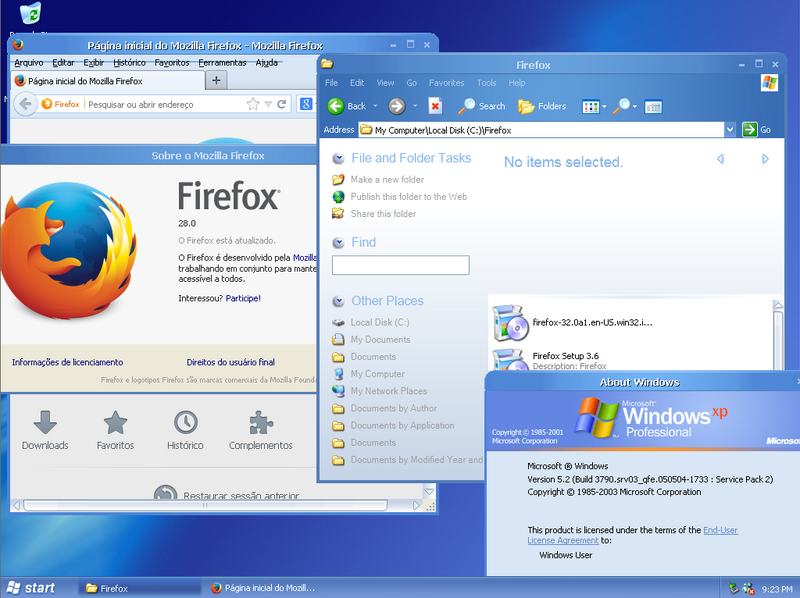 Firefox modern version running on Server 2003 RTM with Longhorn 3718 interface.